Movement6 started at a very early age producing and mixing the harder styles of house like hardstyle. After winning a lot of dj contests, gigs in Club Heaven (NLD), Powerzone (NLD) and organizing his own events in the famous club Mazzo in Amsterdam, he came in contact with techno. A love was born! This resulted in co-organising the well known Salinas Sundance events at the beach in Scheveningen, where he was the closing act for many years and where I gradually built-up his label and event contacts in the techno scene. After this successful period, he left the scene to finalize a Law study at the University of Amsterdam. Right after that he returned to the dj booth and the studio, which immediately resulted in strong gigs at the TRESOR in Berlin, Luiz David in Amsterdam and radio shows in the Uk, Germany and the US. Also his tracks found it’s way to different labels such as Koolkatz USA, Audio Autopsy NLD, Krafted Rec. and many more. 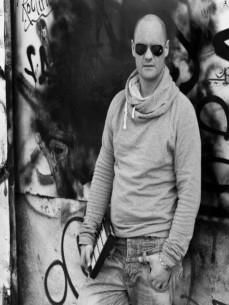 His dj sets and productions are very up tempo techno, always contain “a train” and influenced by other styles. Currently Movement6 together with KEFFISH are hosting the Comfort Sessions radioshow, every first Thursday of the month at EJRRADIO.com.